Like most communities, Swanbourne has held celebrations and events marking special occasions over the years. 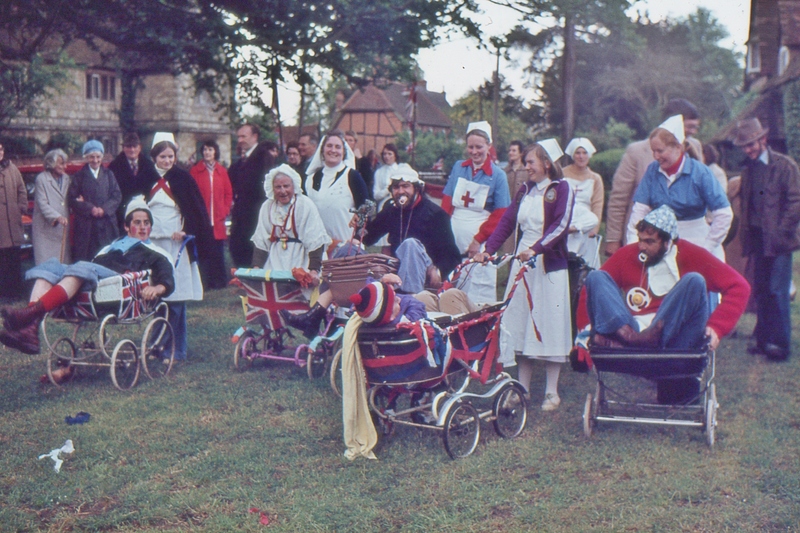 The earliest village celebration of which we have yet found a record was for Queen Victoria’s Golden Jubilee, which was held in Swanbourne on Thursday 9th June 1887, about which there was a very full report in the local press. The day started with a peal of church bells at 5 a.m., and the flying of the Union Jack from the Church tower. At 2 p.m, the band of the Royal Bucks Yeomanry Cavalry led a procession of school children from the school to the Parish Church, where a large congregation had already assembled and a short thanksgiving service was held. 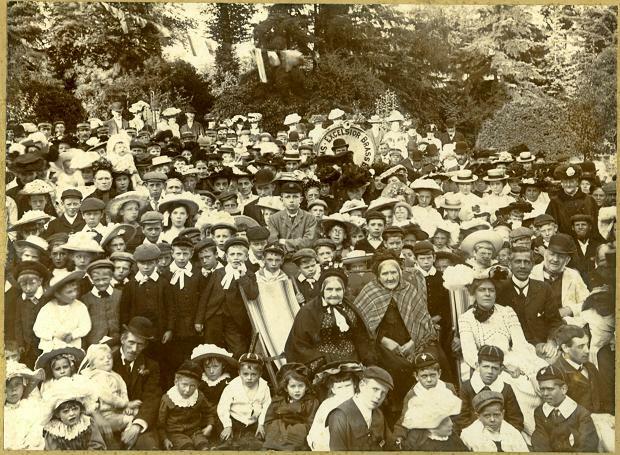 Everyone then processed to the park north of Swanbourne House , where a large marquee capable of seating 700 people had been erected. Ten years later, the village again came out for the Diamond Jubilee of 1897, which was held in Swanbourne on Thursday 17th June, earlier than the national celebrations held on the following Tuesday 20th June, since Lord Cottesloe and his family were planning to be in London on the day itself. 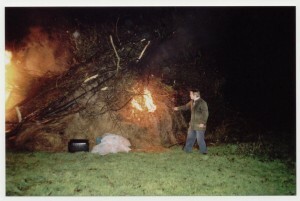 £23 was raised by villagers, which was matched by Lord Cottesloe giving a similar amount. Again a flag was flown from the Church tower, but the bells were not rung until 8 a.m. The Buckingham Band, conductor Mr. Richards, paraded the village at 1 p.m., then at 2 p.m., led the children to the church for a short service. As ten years before, everyone the paraded to park by Swanbourne House, where a large marquee had been erected, and filled with a great feast. 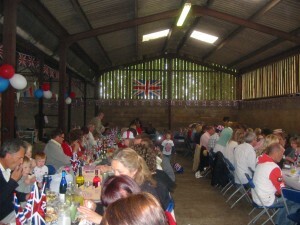 After this, at 3.30 p.m., sports were organised and then an hour later, everyone sat down for tea. The next occasion for village festivities came a few years later with the Coronation Celebration 1902. A church service was held on Saturday 9th August, using the Coronation Service, but since Lord and Lady Cottesloe were attending the Coronation in Westminster Abbey, the village festivities were deferred until Tuesday August 12th. The Swanbourne Brass Band (Excelsior) played and ‘the streets were gaily decorated.’ At midday, around 400 residents sat down to a cold meal in a large canvas tent in the park north-west of Swanbourne House. Then the gardens of Swanbourne House were opened up, after which tea was served in the marquee. There were also sports and dancing. A fuller account is given here:- Coronation Celebration 1902. 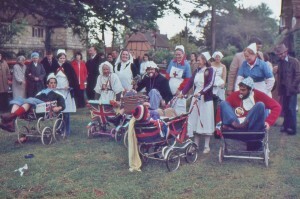 Further work is needed to discover what happened in later years, including the Coronation of Queen Elizabeth II, but in 1977, the village celebrated the Queen’s Silver Jubilee with a procession of vehicles around the village in the morning and sports and fun activities in the afternoon. Girl’s sports winner, 1977 Village Silver Jubillee games. The Golden and Diamond Jubilees were celebrated with street parties (actually in a barn, English weather being so unpredictable), as were the royal weddings of Charles and Diana, and of William and Catherine. 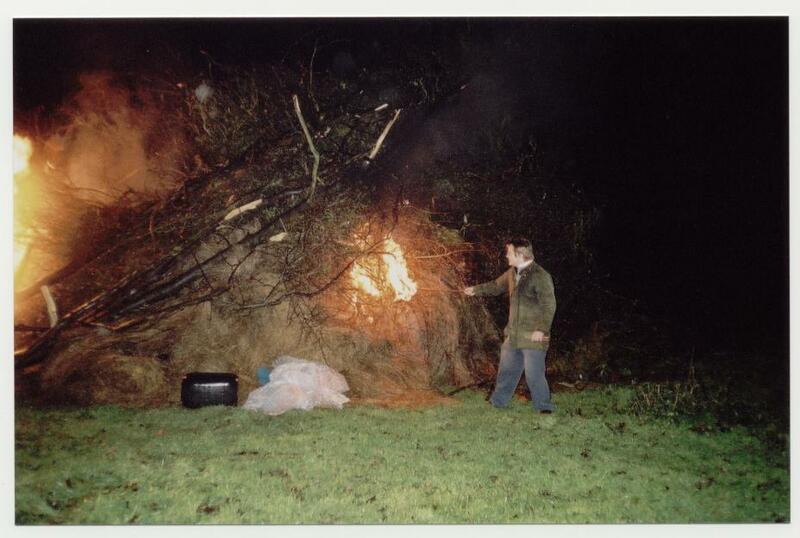 The start of the new Millennium was also marked with a social, a church service and bonfire firework display. 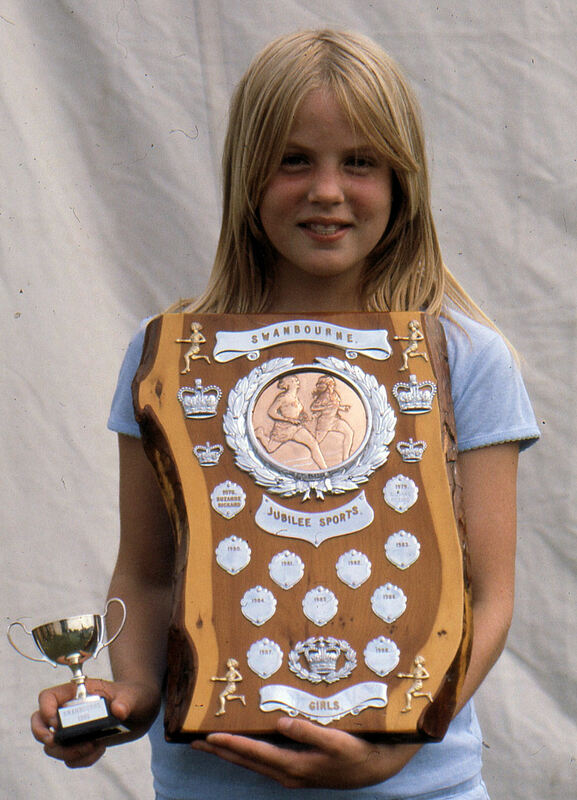 1977 – Silver Jubillee games – fun games.